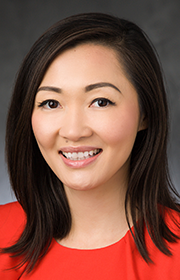 Tammy Duong – Tudor, Pickering, Holt & Co.
Tammy Duong serves as the Marketing Manager, Investment Banking Coordinator and Executive Assistant to Maynard Holt, CEO of TPH&Co. Duong previously served as a relationship manager for Fidelity Investments. Before that, Duong was a financial representative also for Fidelity Investments. Duong holds a BS in Psychology from the University of Houston.